Most discussions about Barcelona as a literary city inevitably end up with people mentioning two books: Carlos Ruiz Zafón’s The Shadow of the Wind and Ildefonso Falcones’ Cathedral of the Sea. Not to knock these books – they’re good reads – but there’s so much more to the city’s literary universe than these bestsellers and their Barcelona literary brand of Gothic mystique and historical weightiness. The Catalan capital’s literary life goes back much, much further. Beyond the post-war struggles of Mercè Rodoreda’s La Plaça del Diamant, beyond the Civil War battlefields of George Orwell’s Homage to Catalonia. 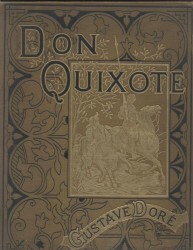 All the way back to Cervantes, whose Don Quixote and Sancho Panza rode into Barcelona in the 16th century. For eons, Barcelona has served as the literary scene of romance, love, betrayal, adventure, friendship, familial conflict, mystery, crime and war. Barcelona’s literary universe gets a whole lot wilder and weirder than the carefully constructed labyrinth of Ruiz Zafón’s books or the historical depiction of medieval Barcelona in Cathedral of the Sea. The city is the playground of Roberto Bolaño’s rebel poets, the stomping grounds of Vázquez Montalbán’s Pepe Carvalho (one of literature’s most wonderful detectives) and an endless source of inspiration to one of the finest contemporary Spanish-language authors, Enrique Vila-Matas. Barcelona’s literary life also leaps off the printed page to thrive in the tangible, flesh-and-blood world. Barcelona has long been the centre of Spain’s publishing industry, home to many of the major publishing houses and influential literary agents. The city has experienced several literary booms over the decades and is home to celebrated authors and young writers. Anyone interested in hobnobbing with the city’s literati should probably hang out in Gràcia, where the established set (and their publishers and agents) like to gather at places like Astrolabi and Heliogàbal. The aspiring and the impoverished drink in the Raval where drinks are cheaper and bygone writers and their fictional characters ghost through the streets. 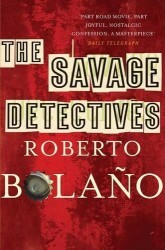 Much like real-life aspiring writers, Arturo Belano and Ulises Lima, the protagonists of Roberto Bolaño’s The Savage Detectives, are usually too broke for fine dining and drinking. The poets and adventurers drift around the world in the aftermath of their search for a long-forgotten Mexican poet. 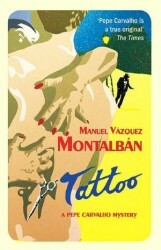 They take us into the gritty, political Barcelona of the mid-70s and the unpredictable Raval, the dive bars and squalor, the camp sites of Castelldefels, and the beach at Sant Pol de Mar where Belano challenges an important editor to a duel. 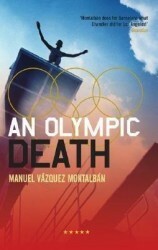 Enrique Vila-Matas turned drifting into a form of literary research while preparing several stories for the El País newspaper. Although born in the Eixample, Vila-Matas decided to explore his city anew and he rode the bus around town for weeks, a literary detective of sorts, tracking down stories and impressions. He wrote about Plaça de Catalunya and Avinguda Diagonal and the comings and goings of metro riders, about all those little, fascinating mysteries of everyday life, brought together in the collection Desde la ciudad nerviosa. In the story Querido Chet, his protagonist wanders down La Rambla to Jamboree on Plaça Reial to pay tribute to Chet Baker, who once spent a month playing at the legendary jazz club. Barcelona is always present in Vila-Matas’ work: echoes of his hometown even find their way into books set in other cities. From the Savage Detectives to the author as detective to a proper, fictional detective. Los Angeles has Philip Marlowe. Barcelona has Pepe Carvalho: private eye, gourmet, former Communist and ex-CIA agent, who investigates everything from cheating spouses to political murders. Although he lives in Vallvidrera and works out of a little office on La Rambla, Carvalho’s main stomping ground is the Raval. Barcelona has given writers of all kinds – those born and bred in the city, those adopting it as their new hometown or those simply passing through – inspiration for centuries. The city has fed their imagination and found its way into their pages in an infinite variety of ways, from bestselling detective stories and historical novels to some of the most celebrated works of literature, both past and present. ICONO Serveis Culturals offers literary tours of the city based on The Shadow of the Wind and Cathedral of the Sea. 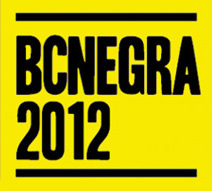 Barcelona has two literary festivals: Kosmopolis at the CCCB and BCNegra, dedicated to noir and crime fiction and held in February. The top prize is named after Pepe Carvalho. Showing just how deeply literature is a part of the local identity, Barcelona has made International Book Day into one of its most popular holidays: Día de Sant Jordi. It is also a celebration of romance and loving couples exchange books (and roses), making this the single biggest book selling day of the year. Hildy Snow writes a culture, leisure and tourism blog for BCNinternet, a company renting holiday apartments in Barcelona since 2003. Thanks a lot for this book list about Barcelona. Great resource! And I’m excited to have finally found info about literary bars around here. 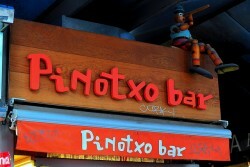 Will check them out soon! Hi Monica, also check out http://www.homagetobcn.com/barcelona-catalonia-books and http://www.homagetobcn.com/barcelona-book-store for some other ideas. So much to read!